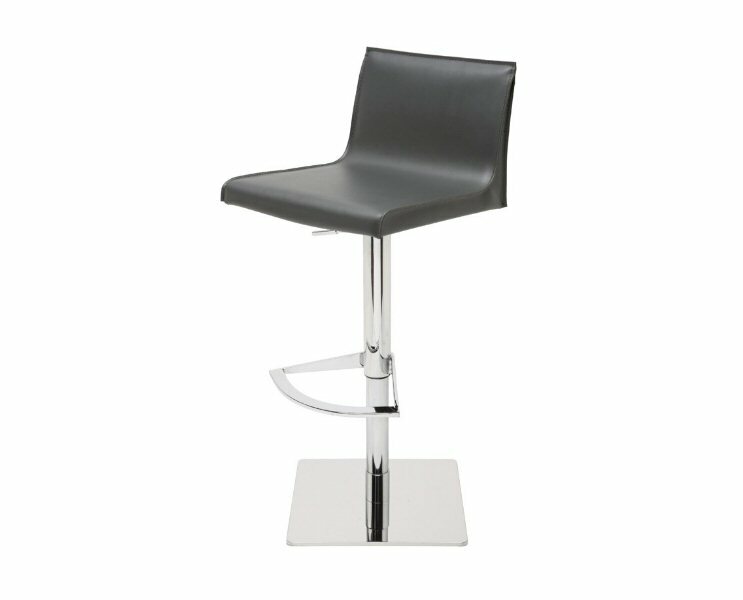 Nuevo Living Colter Lift Stool is understated Italian contemporary design at its best. 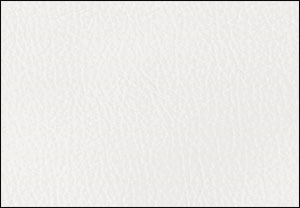 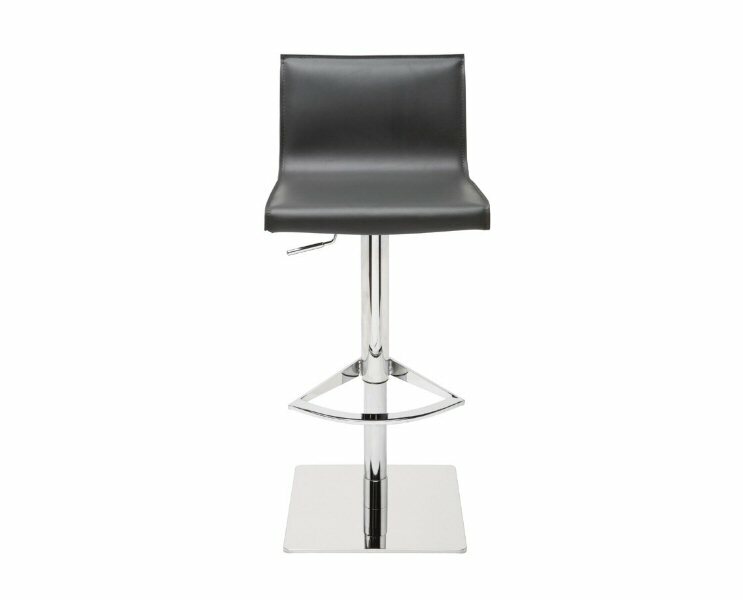 A beautifully crafted leather tone-on-tone stitch upholstery seat is paired with a high polished stainless steel hydraulic lift base and crescent foot rest. 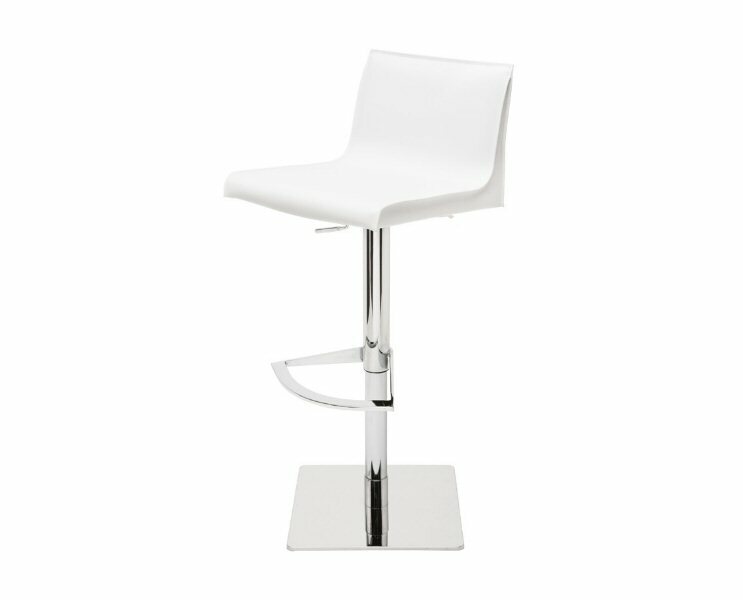 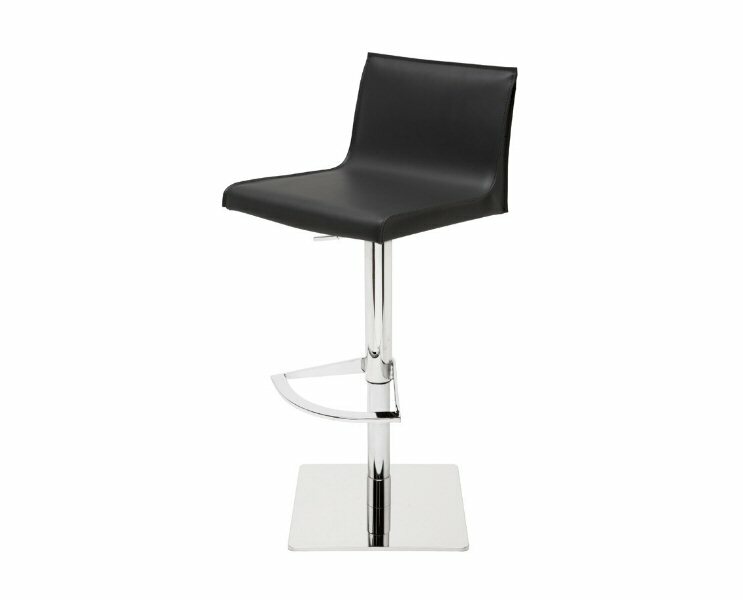 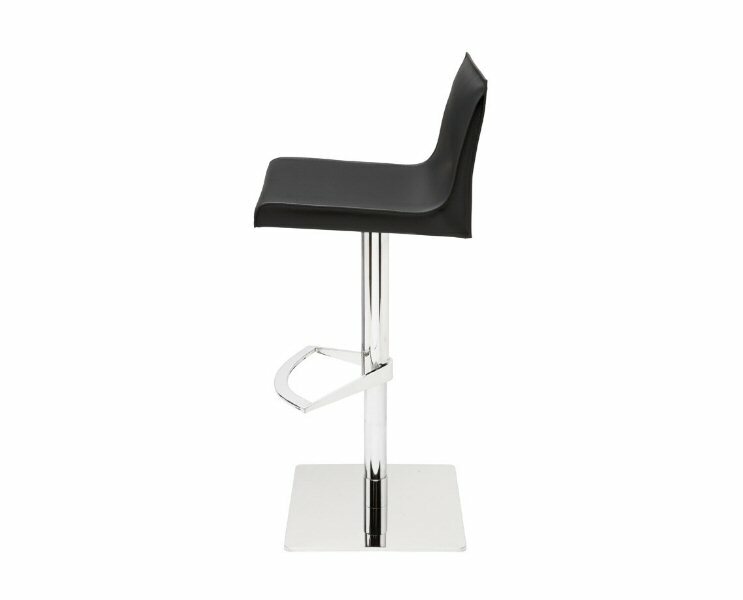 The adjustable stool provides a full range of flexible applications. 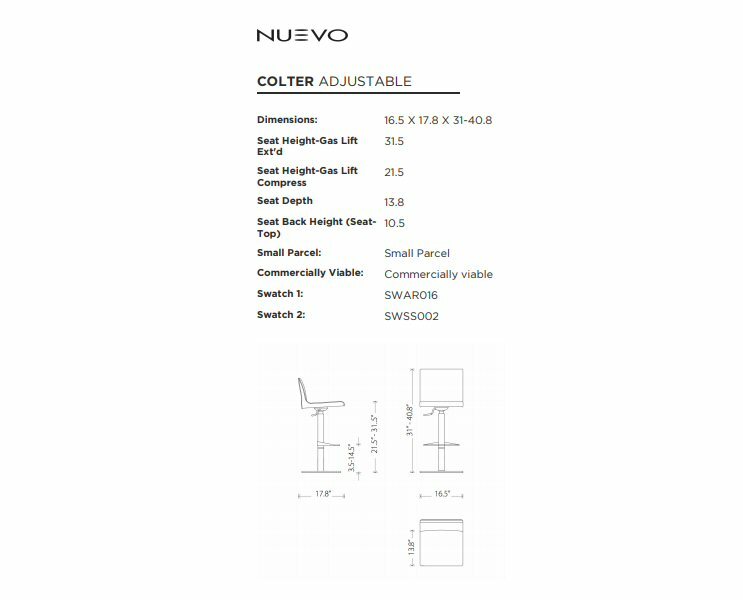 Pivoting 360 degrees, the Colter adjusts up and down with the simple squeeze of a discreet hand lever placed within easy reach under the bar seat, accommodating bar height, counter and dining positions. 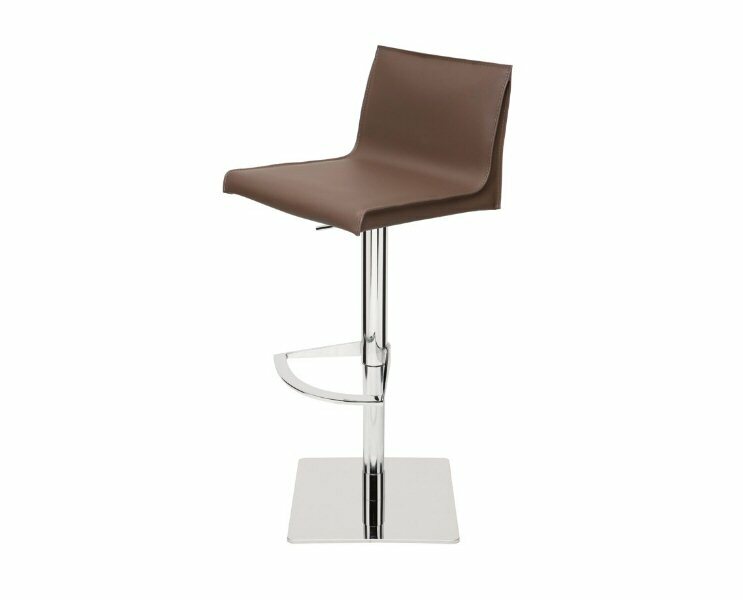 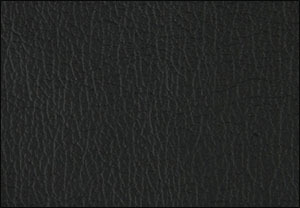 16.5"w x 17.75"d x 30.5"h, seat height adjusts from 21-30.5"